Ask fellow campers about "George Washington Memorial Camping Area" and nearby attractions. This is a great small park. 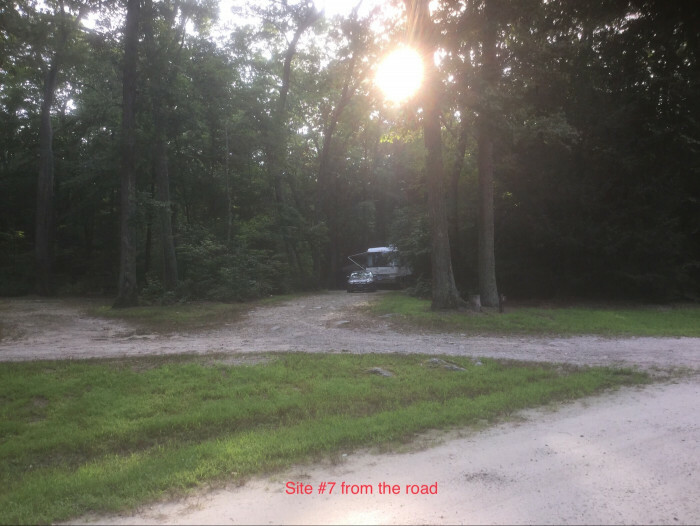 We have a 36' class A, which we were able to back into site #7 easily. 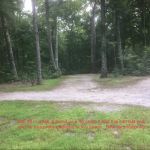 Spacious private site, set back off road. Last year, we were in site #9 which was a little tricky to back into because of the angle. It would be easier to pull straight into #9 but then the fire ring may be on the wrong side of your rig. Unfortunately, there are no pull-through sites here. Sites #7, 8 and 9 are located in a little alcove which would make for a great three-family compound. No hookups at this campground, but we like boondocking so we don't mind. Hookups would make this campground a 10! There is a water spigot across the street from our site. Bath house is brand new, and we were extremely impressed with the showers! Spacious, clean, a nice door separating your personal dressing area from your shower, great water pressure and temp. 75 cents for 3 minutes, 25 cents each additional minute. There is a dump site near the bath house. Even though it's the first week of August, almost 8 am, it's nice and quiet here. There is a nice lake (reservoir) for fishing, swimming, kayaking, etc. Plenty of hiking and challenging mountain biking. We love this campground! 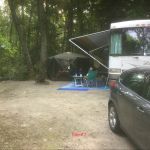 We camped at George Washington Memorial Camping Area in a Motorhome. Providence is 35 minutes east. The city has gone through quite a renaissance in the last couple of decades. Check out Waterfire during late spring/summer/early fall months. It is VERY worth experiencing! Putnam, CT, is 20 minutes to the west of the campground. It has become an antiques center of CT. Located in "the quiet corner" of the state, there are scenic drives, quaint little towns, etc. 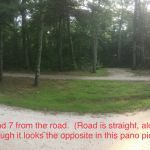 This RI state park is very nicely laid out, each site spacious. This time of year, the park was almost empty and we were lucky to be able to chose the site that would work well for our 40' big rig. Roads and sites are gravel, some more level than others, and some with trees in the wrong places! Big rig owners should know which site they are reserving. No utilities but park is clean and appears well-maintained. Located on the Bowdish Reservoir there are swimming and boat launch areas. Many trails around as well. For geocachers, a few caches within the park boundary. 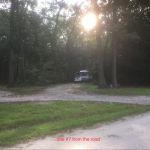 We camped at George Washington Memorial Camping Area in a Motorhome. We stayed three days in this park and used it to explore the surrounding area. Providence was easy to reach - about 35-45 minutes. Good Verizon voice & data. NO DUMP STATION! Limited drinking water access. Some sites very unlevel and due to reservation system, cannot change sites. I do not recommend this campground for anyone with an RV unless they are very familiar with the specific campsites. 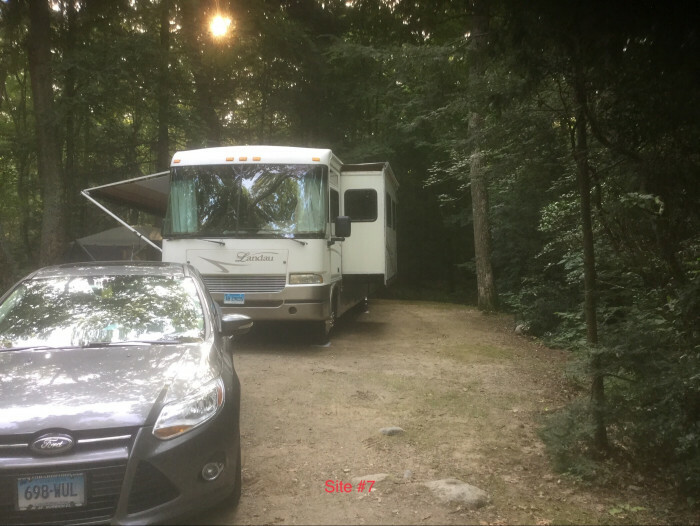 Price listed for out of state campers plus reservation fees. We stayed 5 nights. 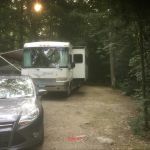 We camped at George Washington Memorial Camping Area in a Motorhome. This is a beautiful area on Bowdish Reservoir. Campground is well laid out with wooded sites for both tents and larger campers. There are no hookups, showers or flush toilets. Very well maintained porta-johns are scattered throughout campground. We saw staff continually cleaning and stocking them. Very quiet and peaceful. Would be a ten, except no pump out station. Swimming is in reservoir, also a boat launch. Many hiking trails. Excellent value for Rhode Island! 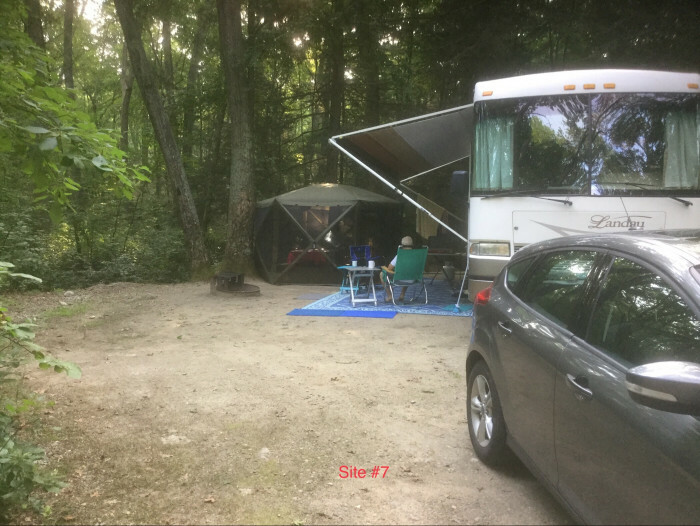 We camped at George Washington Memorial Camping Area in a Tent Trailer. 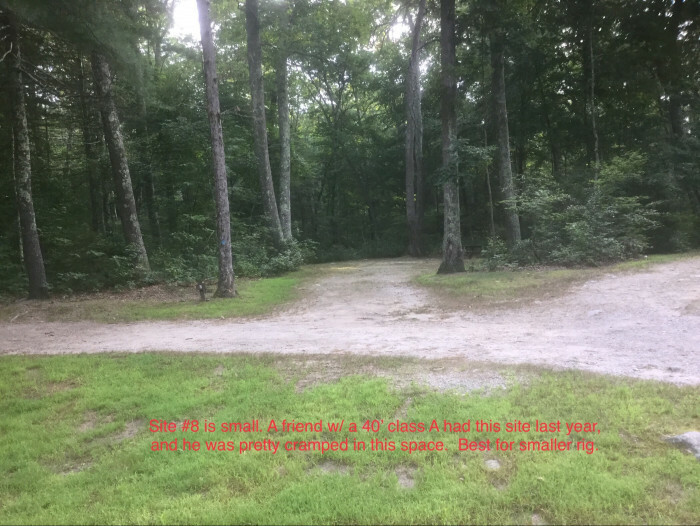 Are you affiliated with George Washington Memorial Camping Area ?